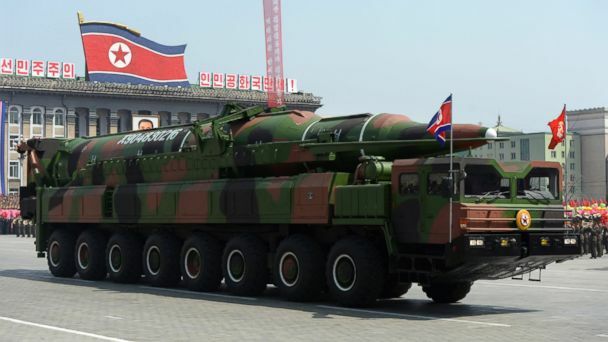 As the United States and North Korea engage in a war of words over the latter’s nuclear and missile development programs, Natural News founder and editor Mike Adams, the Health Ranger, noted in a recent podcast that there were several untruths and myths being perpetuated as related to Pyongyang’s missile tests that most people are unaware of. “With news breaking now that North Korea has missiles that can strike New York City, Boston, Los Angeles, Denver, Chicago and other major U.S. cities, there are three crucial things that you need to know about North Korea and its nuclear missile capabilities that aren’t being really talked about in the mainstream media,” he said in his “Health Ranger Report” broadcast Thursday. The first issue, Adams said, is that it’s being widely claimed that most of the missiles fired by Pyongyang’s strategic rocket forces “are failing” — that they are not able to function properly and are falling into the ocean. While some missiles have failed shortly after launch — which some reports have attributed to U.S. hacking — Adams says the bulk of tests have been successful, and are splashing down in the ocean by design. The reason, Adams continued, is because the North is testing altitude in order to test distance, so to speak. If the trajectory of those missiles was changed, they would hit targets far away. Secondly, he says, Americans are being told that U.S. missile defenses are adequate to knock down North Korean missiles in flight. Patriot missile defenses such as those used in the first Gulf War had a very low success rate, Adams noted, and while today’s systems are probably better, that’s not clear since many details about missile defense testing are classified. The U.S. has said recent tests of THAAD — Terminal High Altitude Area Defense — have been successful, and that these systems are currently being deployed in South Korea. Also, the U.S. Aegis systems aboard U.S. Navy warships are touted as highly effective in performing the missile defense role. But these systems have yet to be tested under actual combat conditions, Adams contends, and when they are, they may fail very often as did the first Patriot missile defense batteries. So while the missile defense battery may, in fact, destroy the incoming ICBM, to do so would mean cities in the area would still suffer nuclear fallout. “Now, all of a sudden, you have almost a dirty bomb effect,” said Adams. That means affected cities would have to be evacuated anyway, even though they were not devastated by a nuclear blast — just a different kind of devastation.